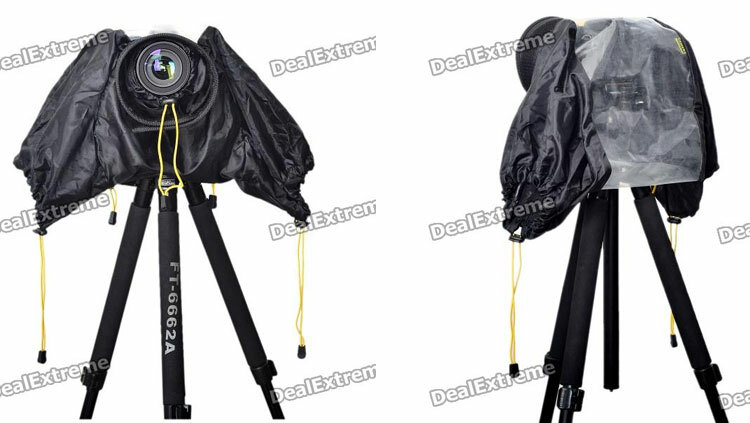 Affordable, pretty good quality rain cover for your camera. This was tested with a fully extended Tamron 18-270mm lens so in other words it is pretty big and can take some fairly long lenses. 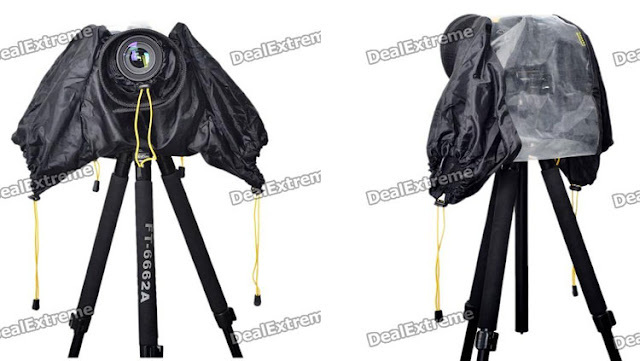 Well worth the money, for this price you could buy 4 of them and still pay less than an expensive brand rain cover. Very good price. Quality seems OK. Some of the seams feels a bit cheap, but then again they are doubled and should work just fine. Very lightweight and pretty big. I could use a fully extended Tamron 18-270mm on my Canon 60D without any problem. Some cheapish seams and the velcro isn't of the best quality. No problems so far, but I can just feel that the velcro will weaken sooner or later.